The Van Devender family includes, from left, William Van Devender and wife Meredith; McGee Van Devender, held by grandfather Billy Van Devender with wife Mollie; and Laura and Tommy Stansell. In front are sisters CeCe, Emery and Mollie Stansell. Not pictured: Clinton and Caroline Van Devender, Anne and Jack Stanton and their children, Edmond and Frances. 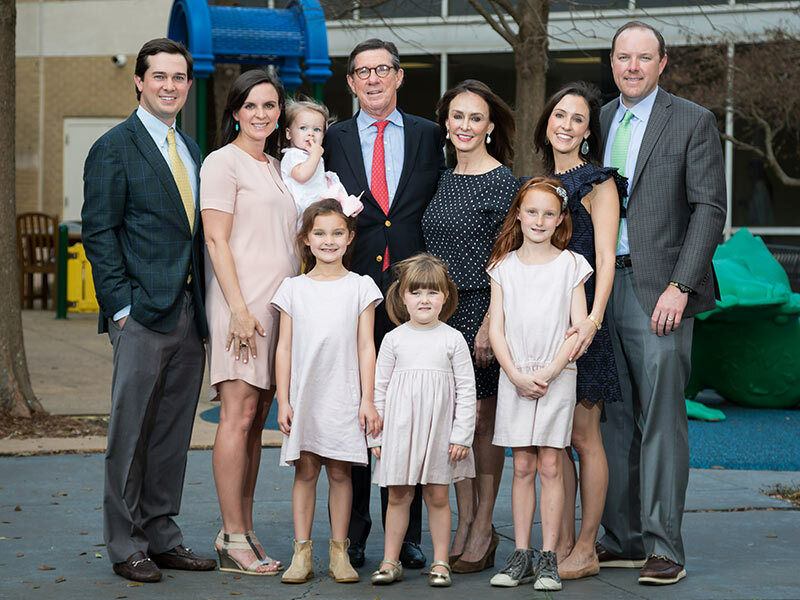 The simple prayer of a child for the patients of Batson Children’s Hospital brought about a $1.5 million gift from the Van Devender Family Foundation to expand pediatric care at the University of Mississippi Medical Center. Laura Van Devender Stansell prays each day with her daughters, including Clara Cate, or Cece, 7. When the Van Devender family talked about causes their family foundation will fund, the Campaign for Children’s of Mississippi, the philanthropic drive to help fund construction of the $180 million children’s tower adjacent to Batson Children’s Hospital, was at the top, he said. Van Devender and his wife, Mollie, have four children, Laura Stansell, William, Anne Stanton and Clinton, and six grandchildren with two on the way. 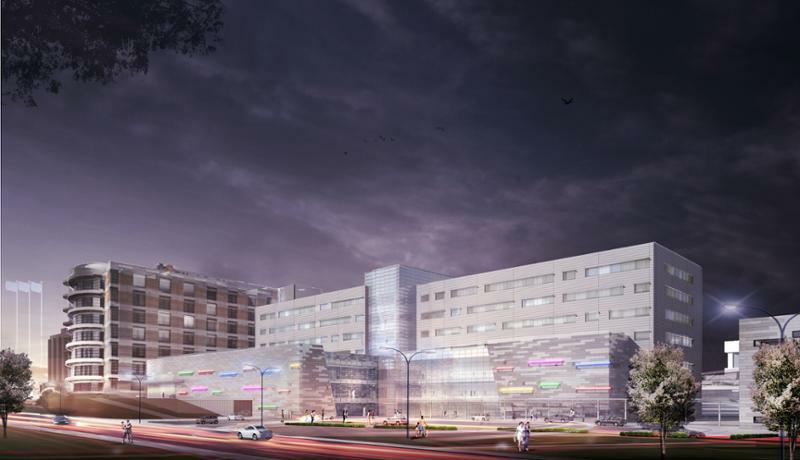 An artist's rendering of the Children's of Mississippi expansion project. The expansion includes a seven-story facility that will house state-of-the art private neonatal intensive care unit rooms, additional pediatric intensive care rooms and surgical suites, and an imaging center designed for children. The Children’s Heart Center, representing the Medical Center’s pediatric cardiovascular program, will also call the new building home. The tower’s opening is planned for August 2020. Children’s of Mississippi leaders anticipate recruiting 30-40 new physicians in the next five years as the facility is built and after it is opened, since it will provide additional capacity. At a minimum, about 50-75 staff positions, not including physicians, would be added after construction. Ground was broken Dec. 1 on the 340,000-square-foot tower. Van Devender’s close friend and former football teammate, Archie Manning, is a strong supporter of UMMC’s mission, having launched the Manning Family Fund for a Healthier Mississippi in 2014. “Archie, Olivia, Eli and Abby have all been excellent ambassadors for UMMC and Children’s of Mississippi,” Van Devender said. “Billy and I have been teammates before, so I am happy we are on the same team again, this time with the goal of creating a healthier Mississippi,” said Manning. Joe Sanderson, co-chair of the campaign with his wife Kathy, is also a friend of the Van Devenders and encouraged the family to participate. 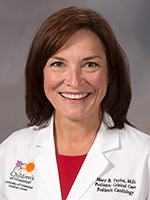 Dr. Mary Taylor, Suzan B. Thames Chair, professor and chair of Pediatrics at UMMC, thanked the Van Devender family for their generosity.